Traveling can be so tiresome for the unseasoned traveler. That is why it’s always important to consider taking a little bit of “home” with you while you’re making the holiday rounds. Research has shown that one’s environment is very critical to one’s own peace of mind. In an effort to create a calm piece of space for your travels, consider packing these bath and body items in your checked baggage whenever you need to travel. Whether for business or pleasure, traveling with items from your home help create a sense of stability while traveling and innately allows for a level of relaxation that no hotel room or guest room (or friend’s couch) can match. Candles can have a calming and relaxing effect in just about any room. Did you know that scented candles can add to the rate in which you relax? Scents such as Lavender and Chamomile create a calm and soothing effect on our senses. Conversely, scents such as Eucalyptus and Mint tend to excite the neurotransmitters in our brain. 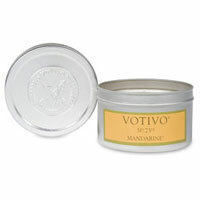 Consider the travel tins to protect the integrity of the wax, and always use soy wax (no carcinogens). Air Diffusers are also a good idea when it comes to ridding ourselves of foul odors of a hotel room, or even a guest bedroom. This is an ideal traveling companion as all that is needed is the small jar of oil and the reed diffusers; once opened it blankets the room with a nice aroma allowing you to relax. We all know that baths can also have a calming effect, but what about a Jellybath? This product, when combined with warm water, produces a fluffy, scented, thick jelly-like spa experience that retains heat four times longer than normal water. The aromatherapy benefits of relieving stress, reducing swelling and easing of muscular tension in this virtual bath blanket cannot be underestimated and is a treat for any traveler. This truly is luxury in a small packet!